As simple as great inventions are, like every insight that focuses a need and by combining logic and creativity then creates the tool that to accomplish it. Experience is the key to accomplish what has not yet been conceived, it is the ideal breeding ground for ideas to flourish. The more talents the creative mind can put into play, the greater the chances that a new way to focus “common thinking” is born and that a short circuit adds another piece to what, by convention, we call progress. Project leader Marcello Rota knows this well, because he has faced the musical universe as an instrumentalist, as a scholar, a composer and by being an acclaimed conductor in many of the most famous opera theaters. Project manager Ivano Berti knows this well, because he has combined his scientific training as a physicist with the one of musician and operatic singer (as well as video director), and has then reached a personal balance following his passion for teaching. Only those who have faced firsthand the adventure and the alchemy of molding (through years of studying and continuous adjustments) that invisible and amazing instrument that is voice, can know how much effort it entails and at the same time how much passion and emotion it can generate. A preparation that cannot be avoided in the technical refinement, and in the study of the repertoires, in that it is like training, not distant from any other kind of artisan discipline. And yet marrying art and technology, a considerable support can be reached to help and facilitate the singer’s practicing, to improve the quality of learning, and to offer to anyone who desires it, the possibility of professional growth. This is what Prof. Berti has conceived, together with M°Marcello Rota, after decades of experience, after having been at the forefront on the stages of the whole world in close contact with Andrea Bocelli for personal and professional reasons. The result of a linear intuition, but difficult to accomplish (it has required the intense involvement of a select technical and artistic team), through operastudio.org the interpreter has, under every aspect, the perception of being on stage and can benefit from the many stimuli that only a stage could previously offer. We hope that this innovative multimedia system will be gradually applied to a wider operatic repertoire. As simple as great inventions, we were saying before. We would add: useful at 360°just like great inventions, both for the professional and for the beginner, for anyone who loves Opera, the “Paradise of music”, and who has experienced the exciting joy of singing. 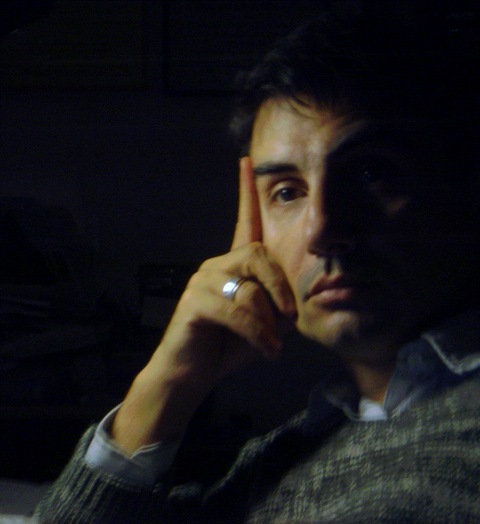 Giorgio De Martino is a pianist and writer. He has been a Music critic for more than two decades; he has collaborated with the newspapers “Il Secolo XIX”, “Radio Rai”, “Musica” and others. He has held more than a thousand meetings on the melodrama, in the course of collaboration with the Theater Carlo Felice based in Genoa, which started at the beginning of the 90s. He has written musicological essays and fiction. His books have been published in several countries including The United States, Germany, Brazil and China.